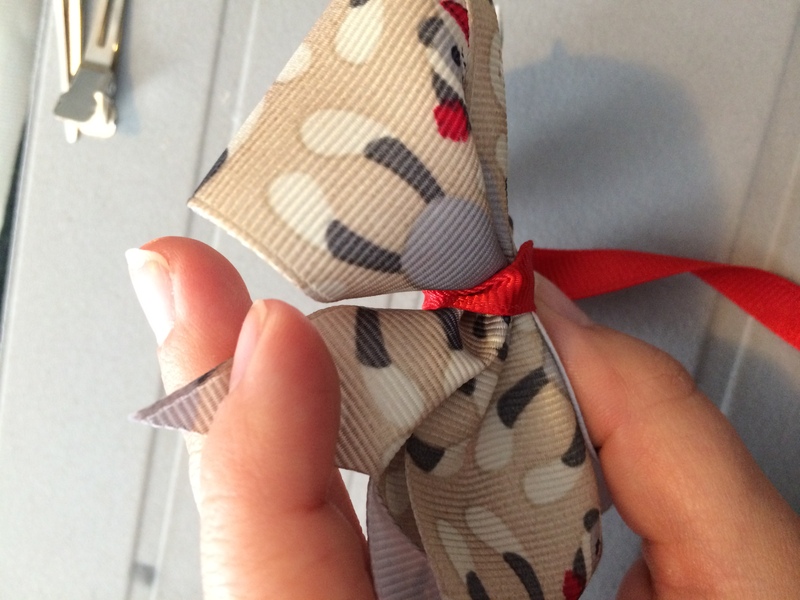 After a lot of trial and error I finally figured out how to make this bow on my own. I did not use any instructions or videos. 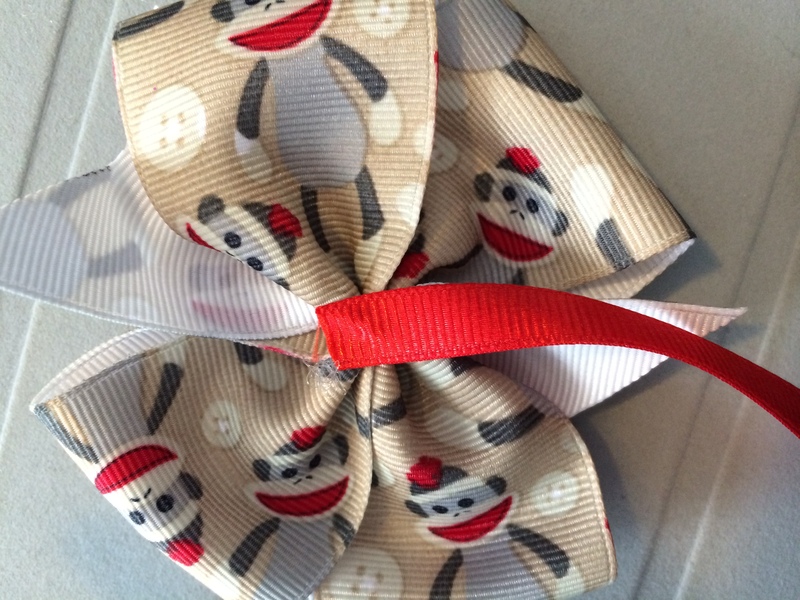 I bought a bow similar to this on Etsy and loved the way it laid on the twins heads. I was bound and determined to make these on my own. They will be for sale on my Etsy page eventually. In the mean time you can check out the other awesome things on my page. Or you can take stab at making your own. 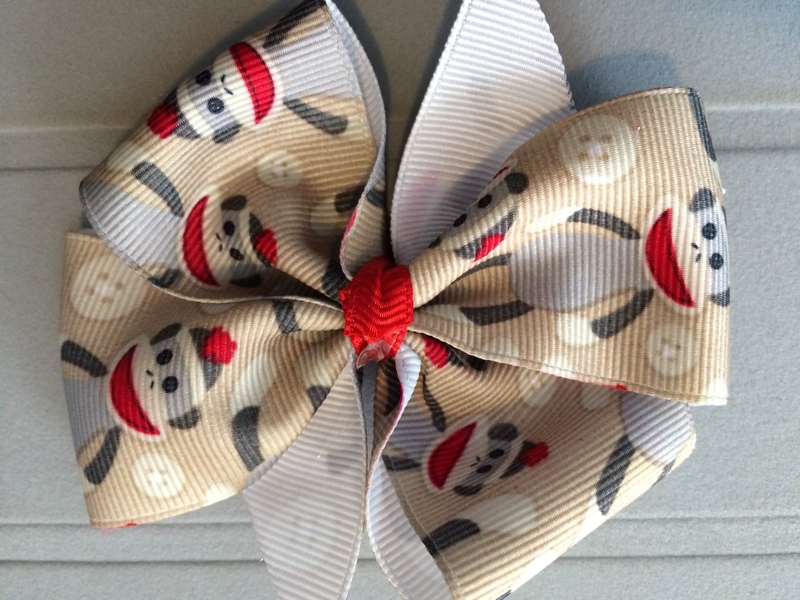 1 12 inch piece of 1 1/2 inch ribbon. 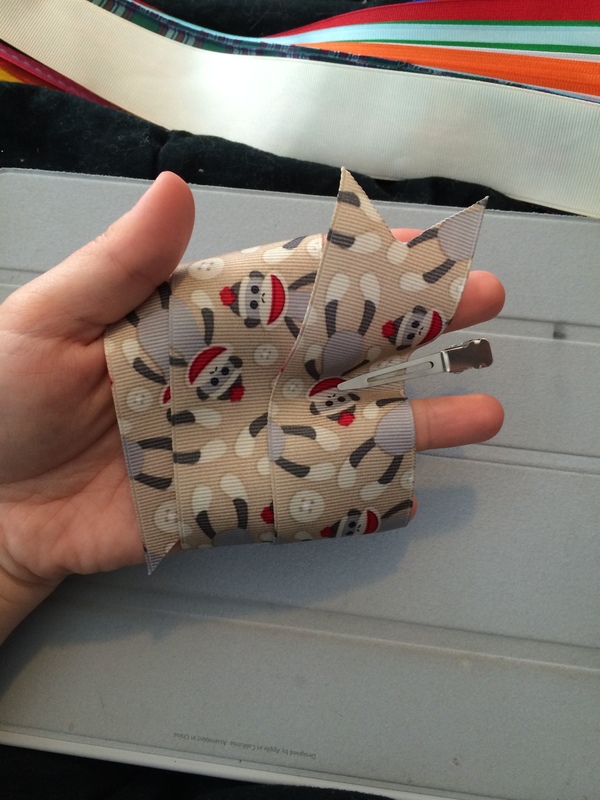 3. cut at a diagonal the open ends facing toward you and the closed in away. 4. your ends should look like this when you are finished. 5. 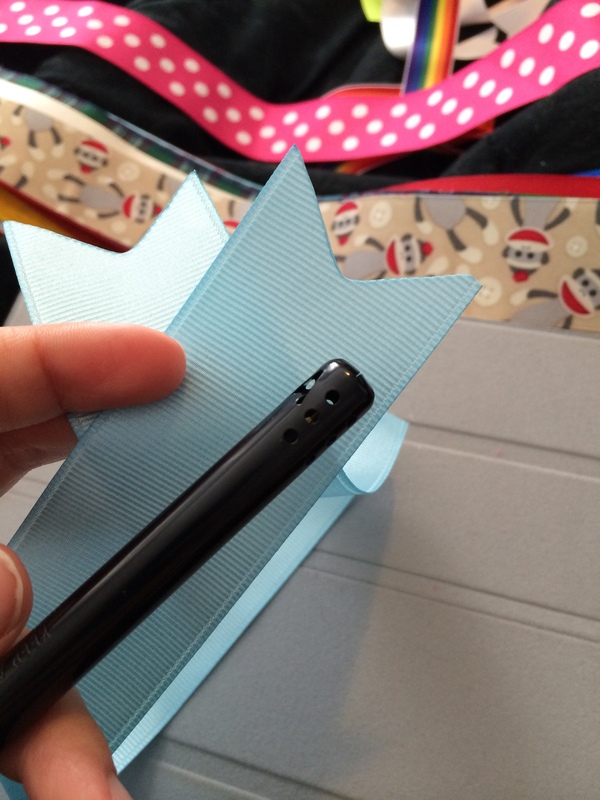 Take your lighter and lightly moved it over the edges of the ribbon to seal it off so it does not fray. 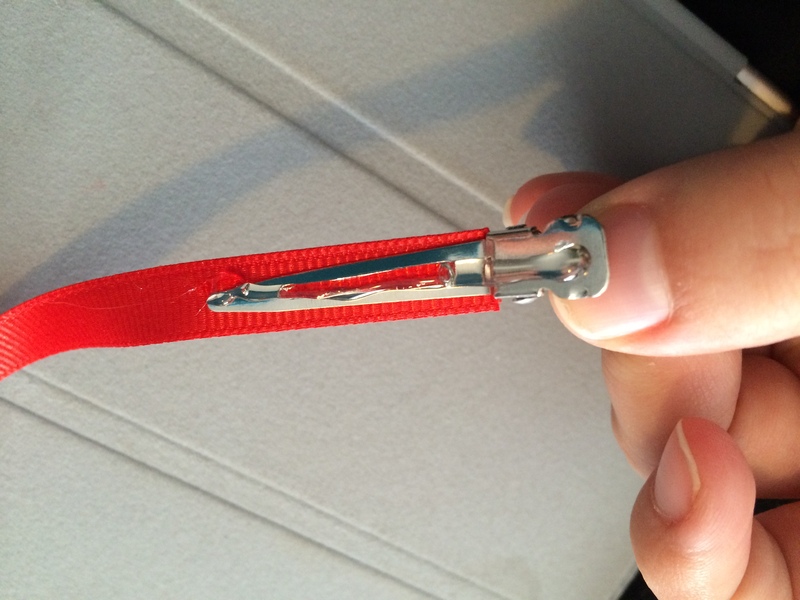 8. wrap it again, then place your 1st alligator clip in between your fingers. 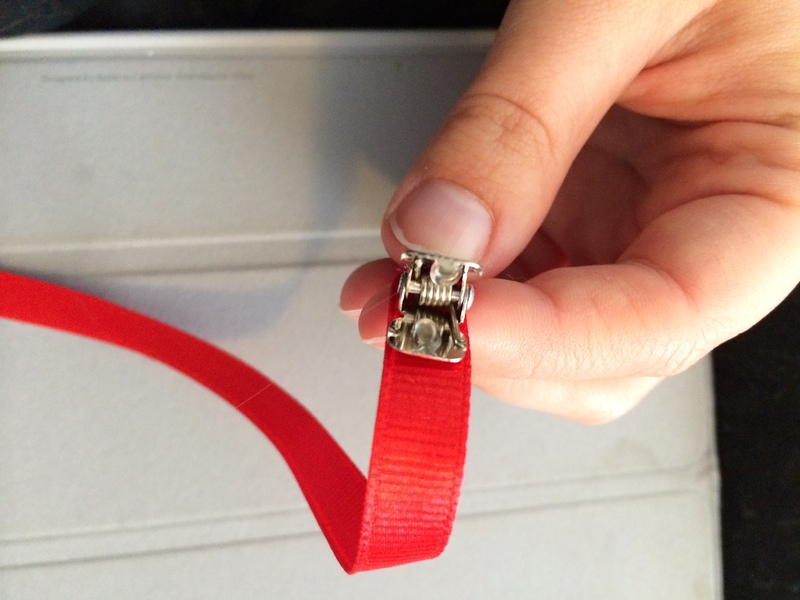 9. pull the ribbon off your hand carefully then place the second alligator clip on the other end of the ribbon. 10. 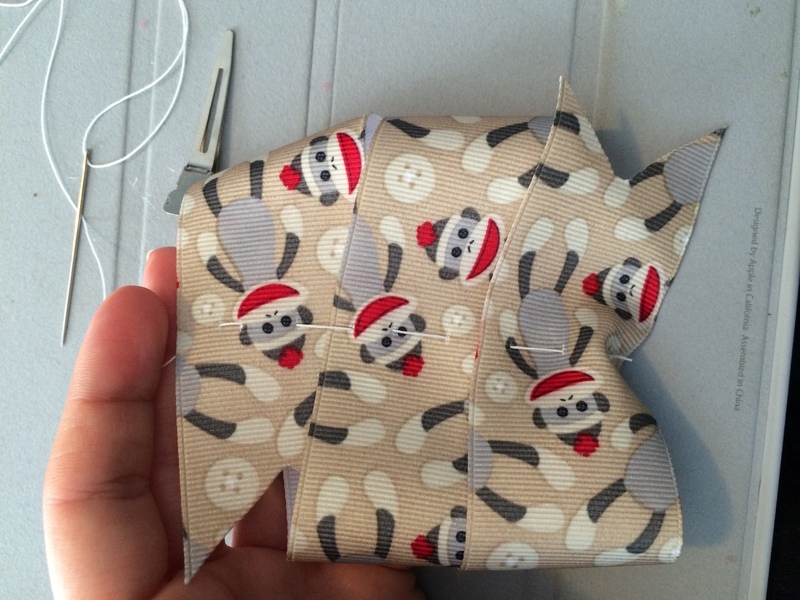 Begin stitching the ribbon in the center. 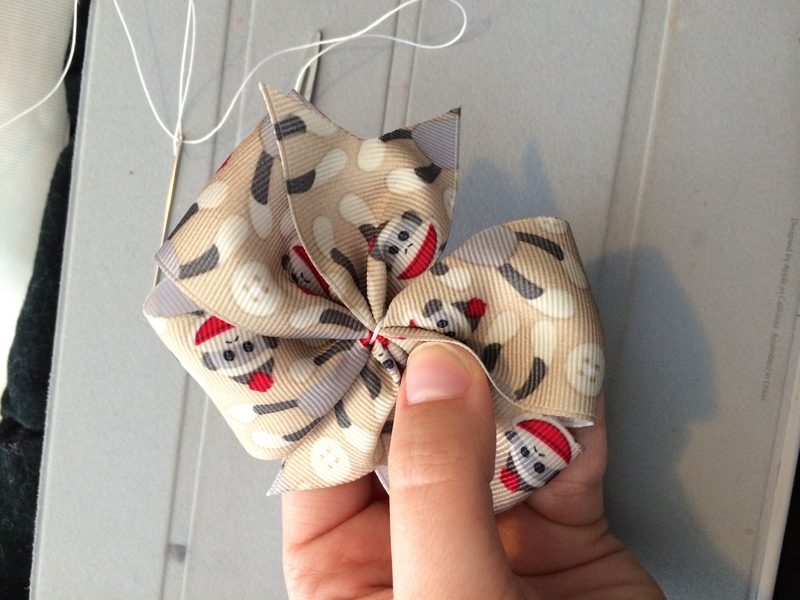 12. pull the string while holding the ribbon to make a scrunched look. 13. Wrap the string around the bow at least twice. 14. 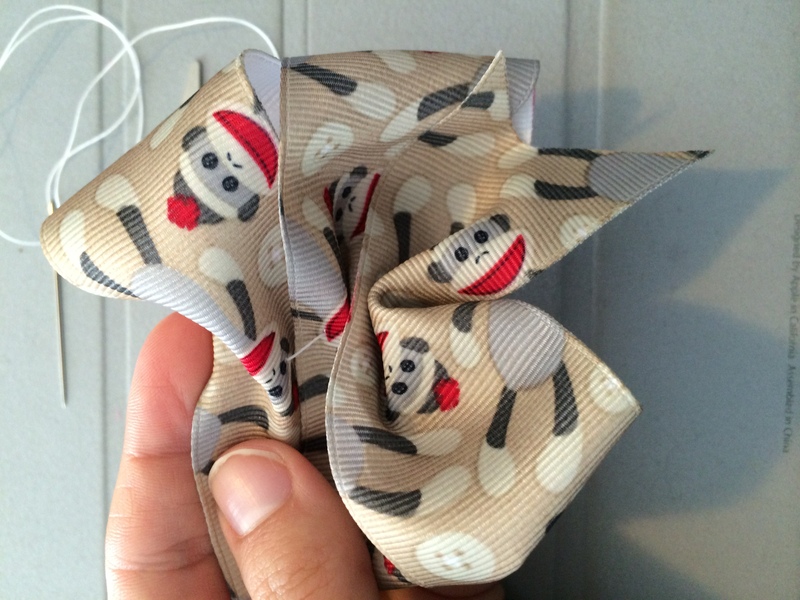 Tie off the string in the back on the bow. 15. cut the string. Leave about 1/4 of an inch or more. 16. 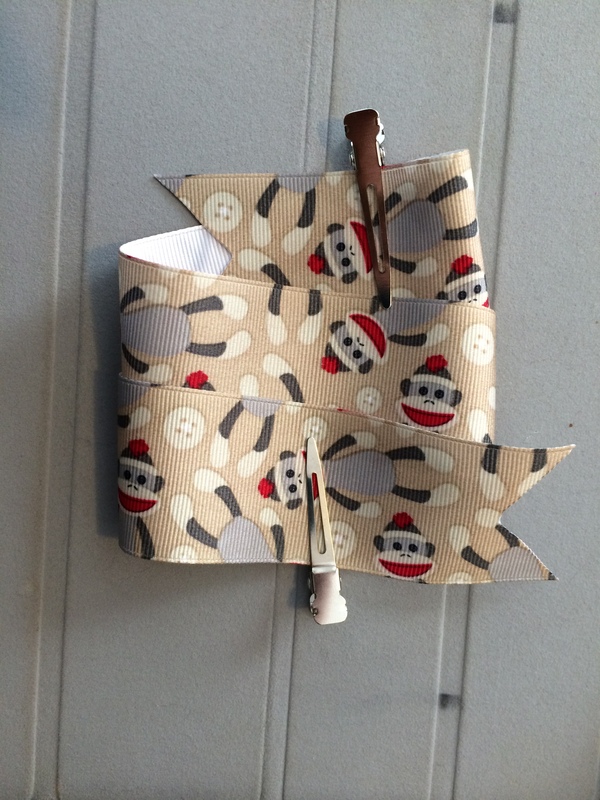 Now you need your hot glue gun. 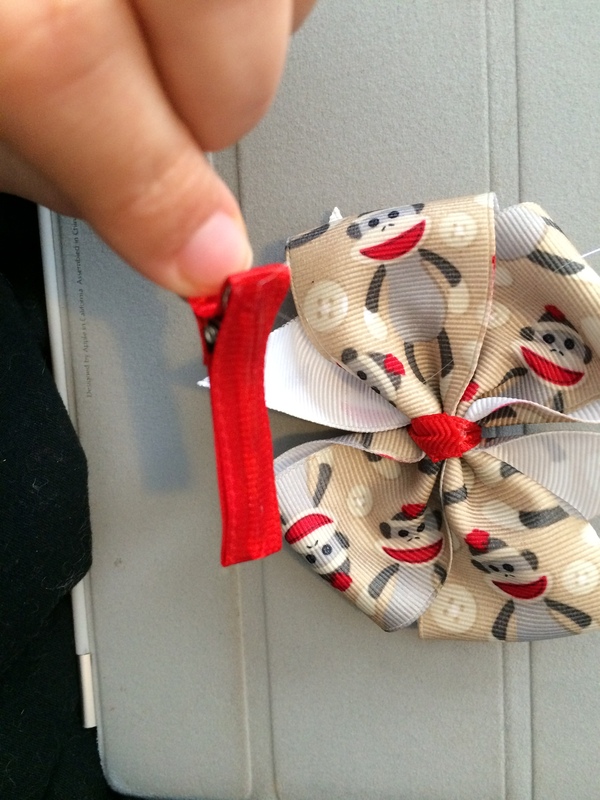 Put a small dab of glue over the knot on the back of your bow. 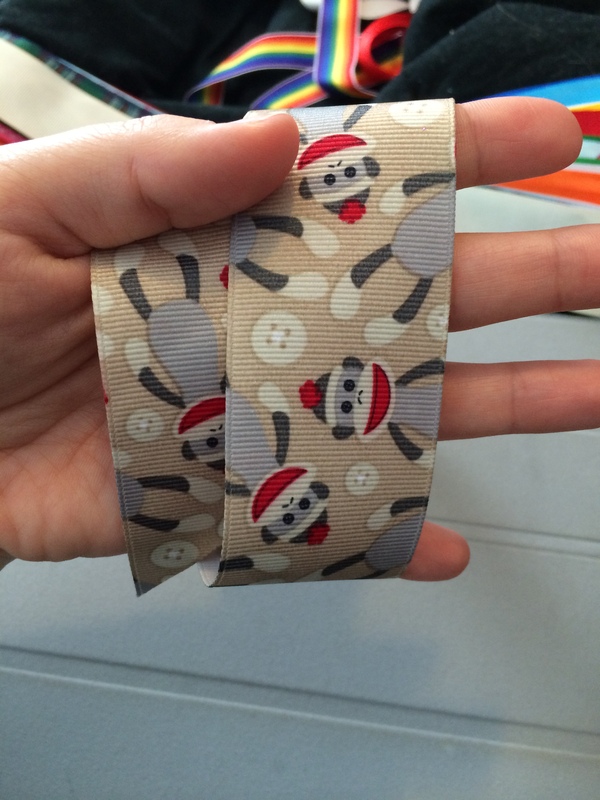 17. glue your ribbon down. 18. 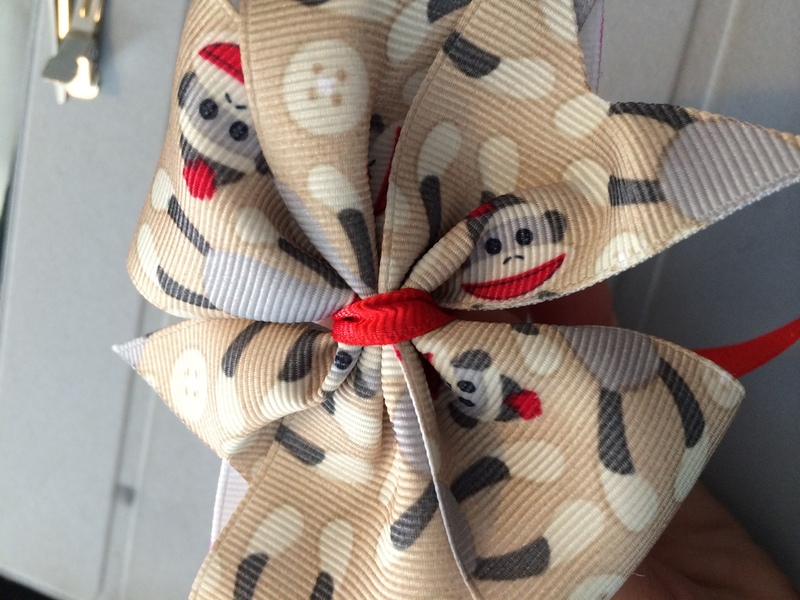 Wrap the ribbon around towards the front of the bow. 19. 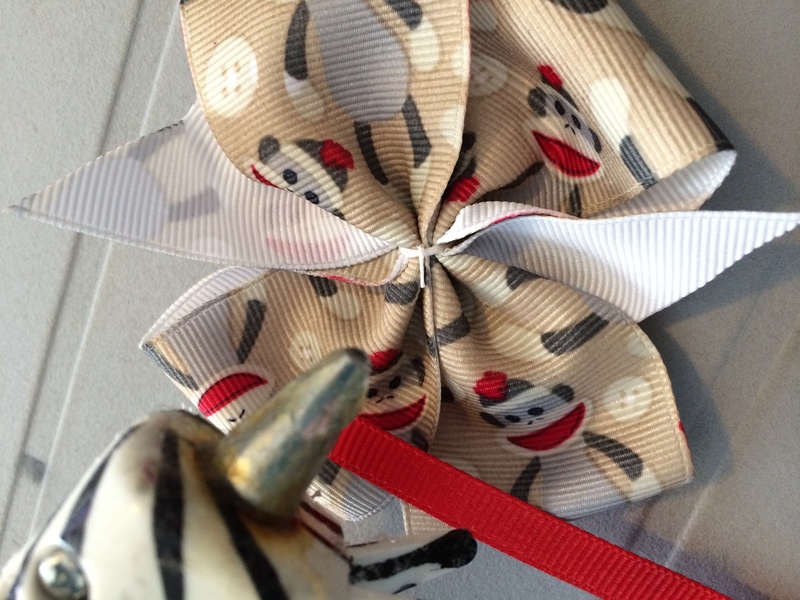 Wrap the ribbon around the other side of the bow. 20. you have now wrapped the ribbon around to the back of the bow again. 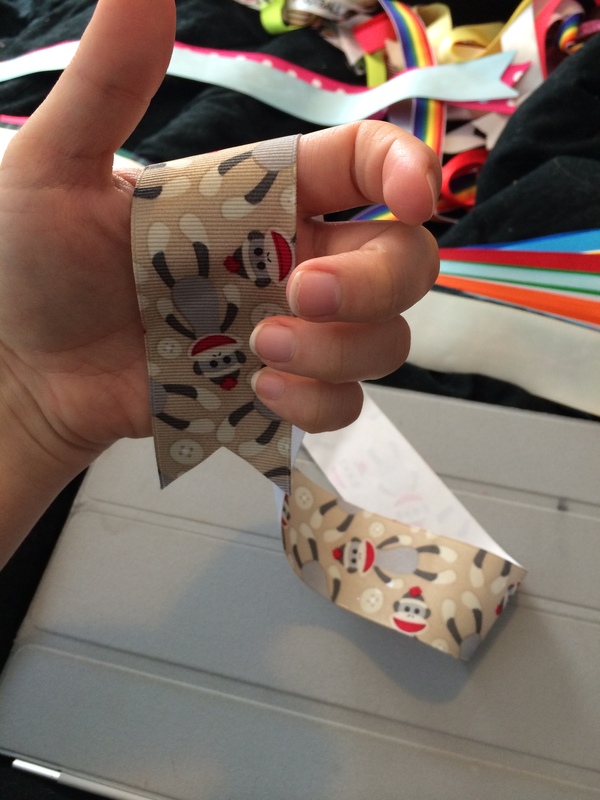 Now you will cut it so it does not go past the front again, but it does overlap the beginning of the ribbon. place a dab of hot glue down then join together. the back of your bow should look like this when finished. 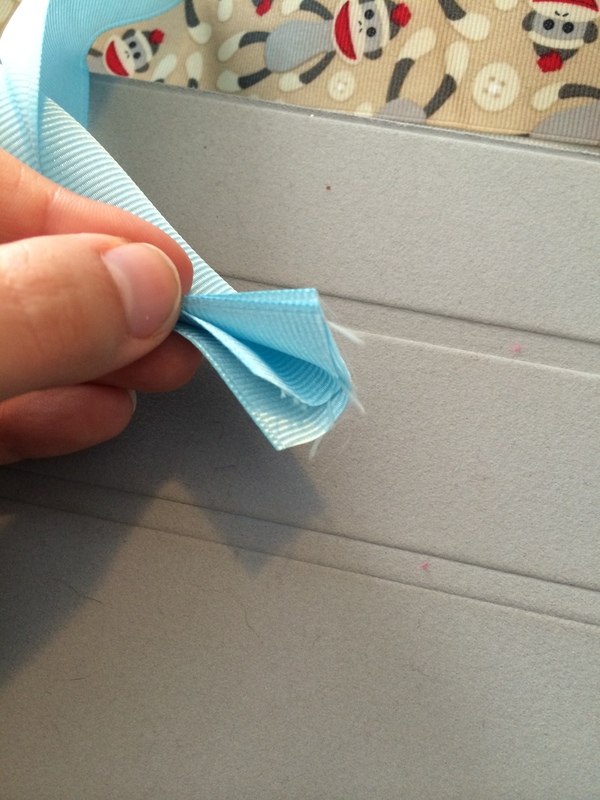 2. place a line of glue over the top. 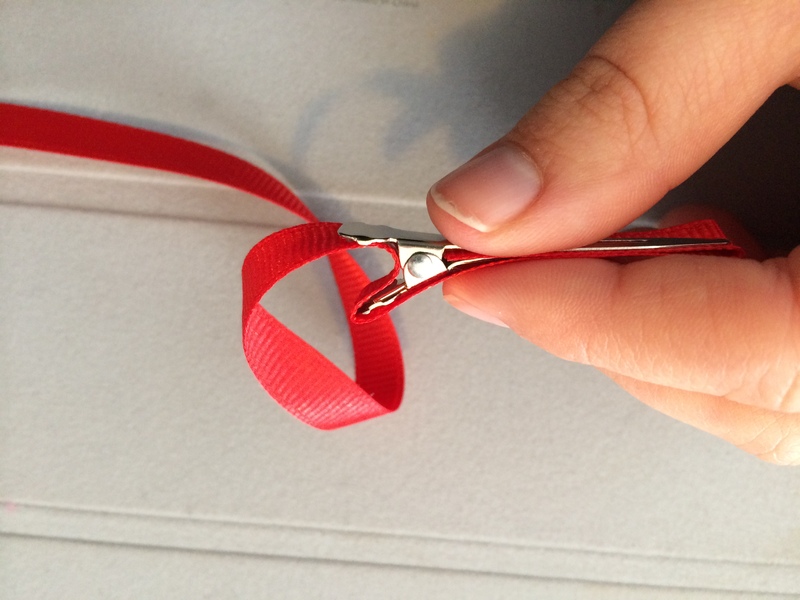 the pull the ribbon over the glue. press firmly. 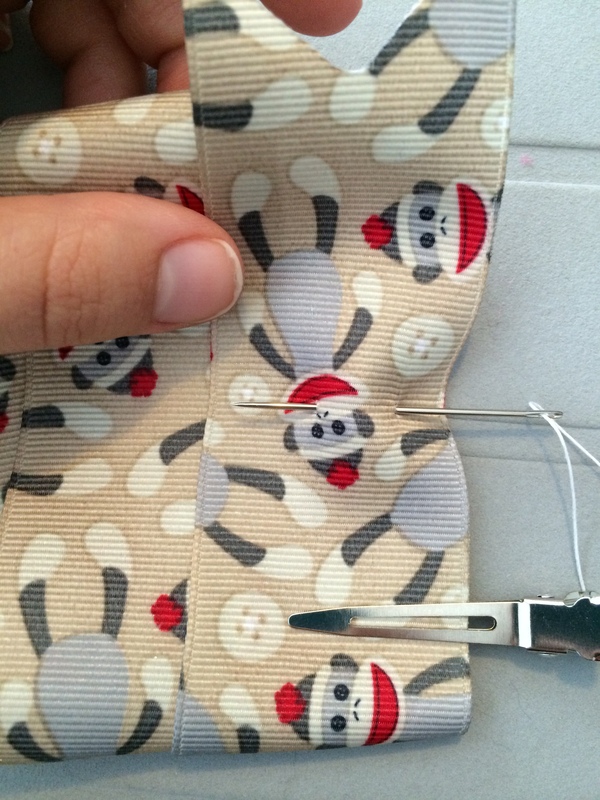 3. place a dot of glue on the inside edge of the clips. 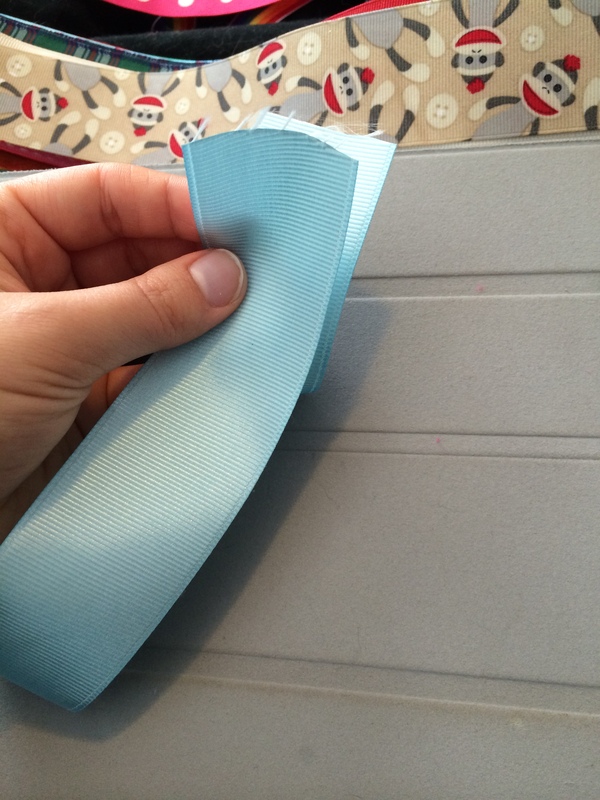 4. then place the ribbon on the glue dots. 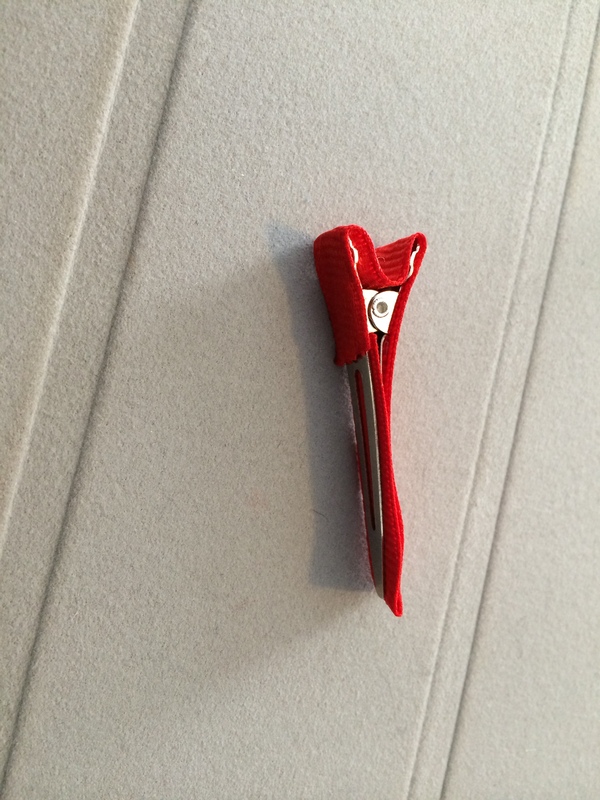 5. now you will place a line of glue on the back of the clip as shown. You do not want it to go into the whole. 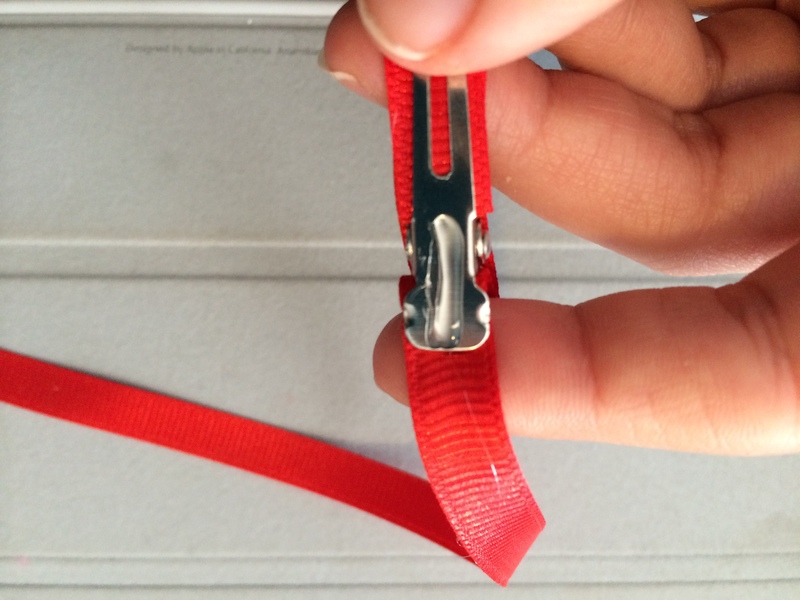 It will stick to the ribbon on the other side and you will not be able to open it. 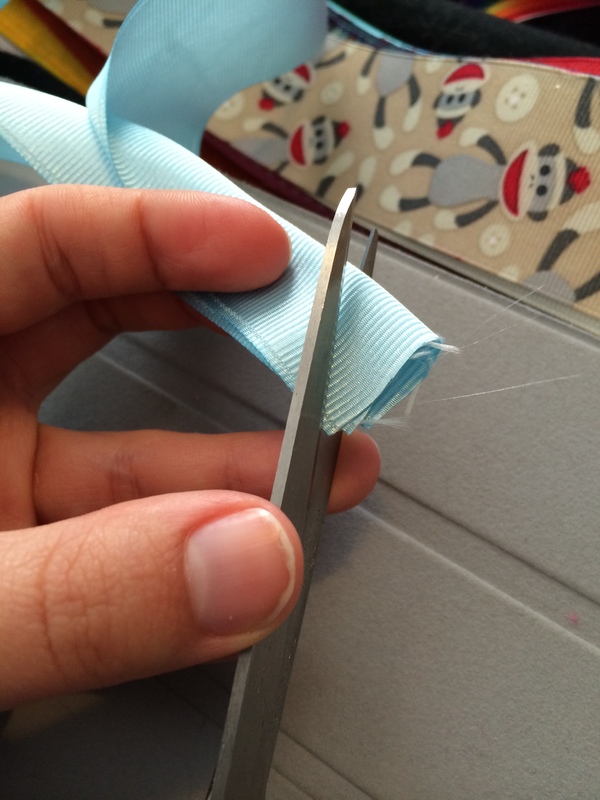 6. cut the excess ribbon. you clip should look like the one above. 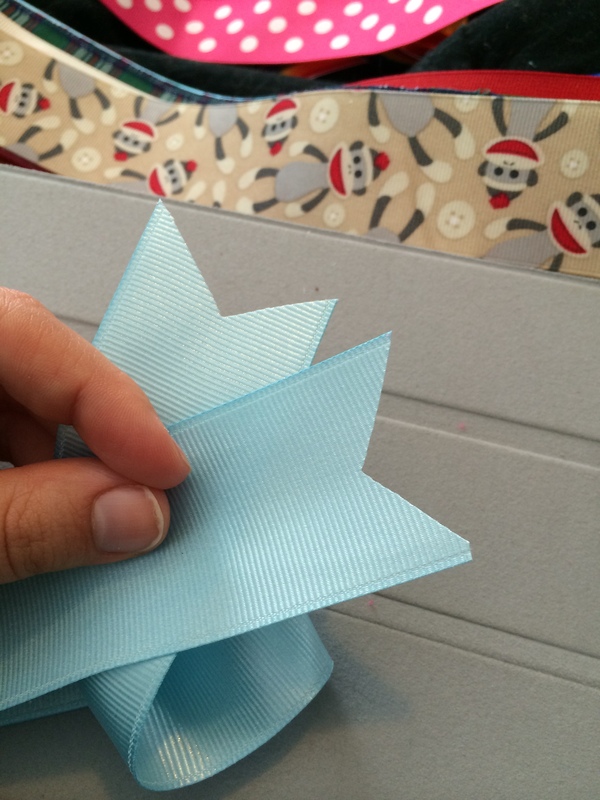 Attaching the Clip to the Bow. 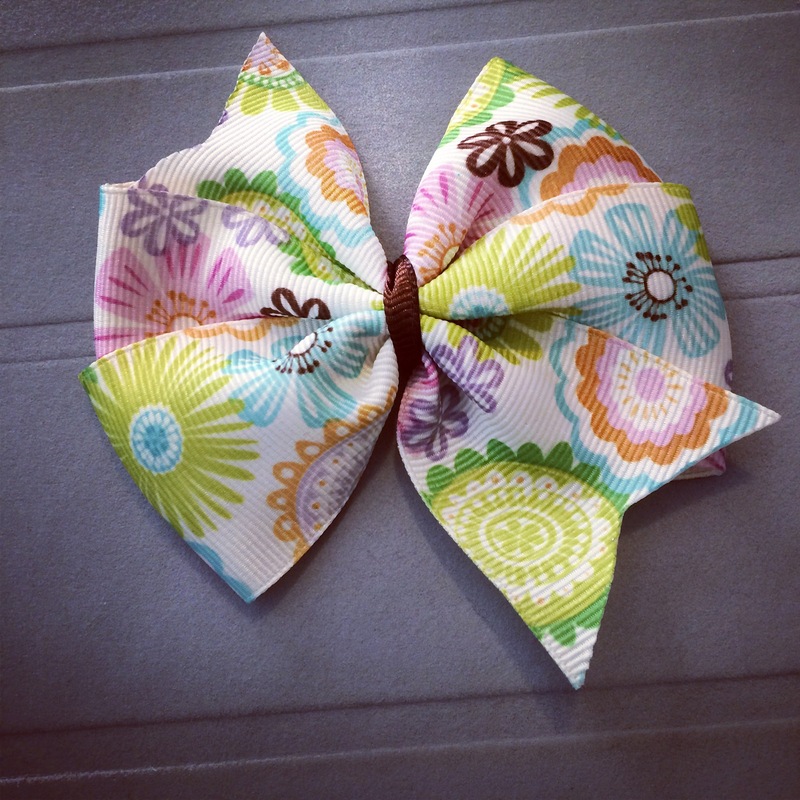 Make sure your bow is upside down. 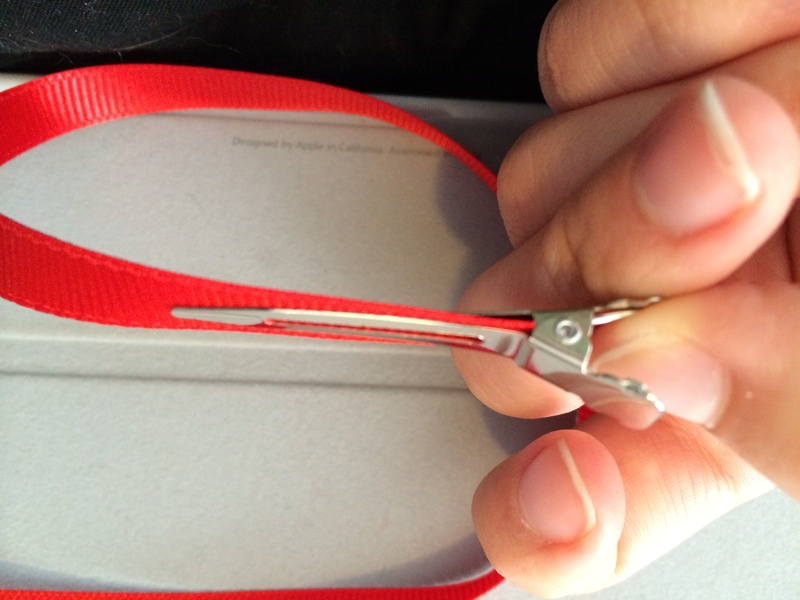 Then place a line of glue across the clip. 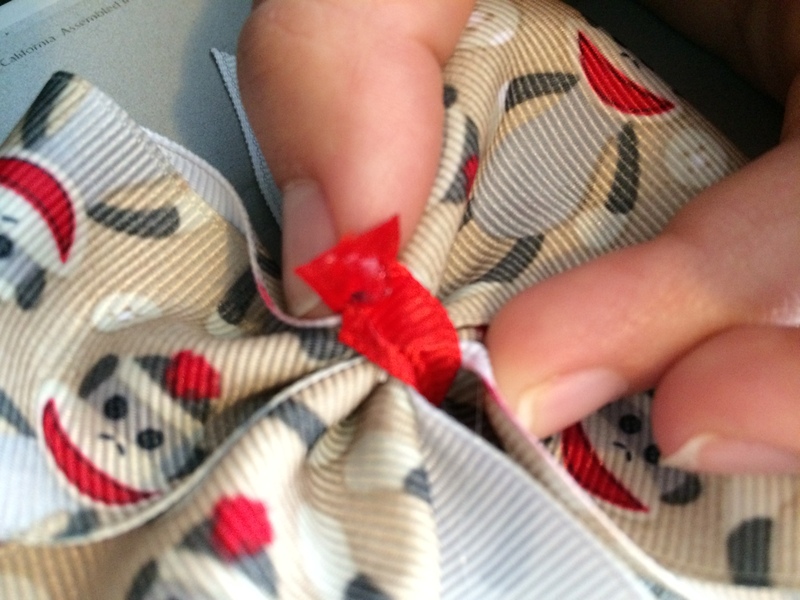 Once you have done that press the clip glue side down firmly on the bow. Hold for about 5-10 seconds. This entry was posted in crafty, tutorial and tagged bow, bow making, craft, crafty, hairbow, how to, how to make a bow, how to make a hairbow, how to make a pinwheel bow, pinwheel, pinwheel bow, ribbon. Bookmark the permalink.